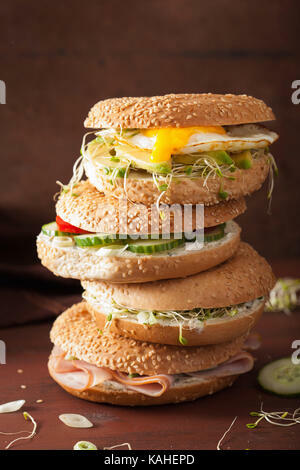 Sandwiches with egg, cheese, cucumber, ham and cherry tomatoes. 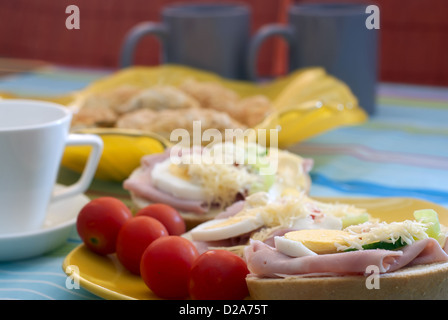 Food and drink theme. 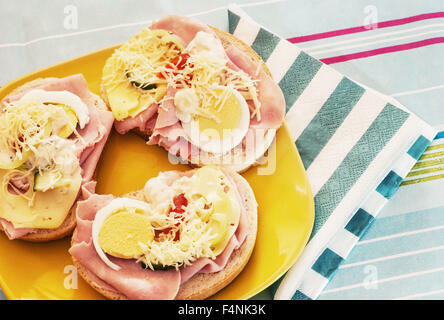 Delicious sandwiches with tomatoes, ham, eggs and grated cheese. 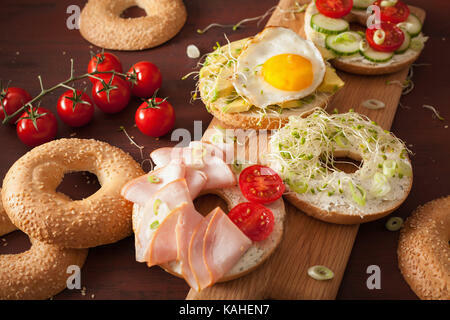 Served rich breakfast. 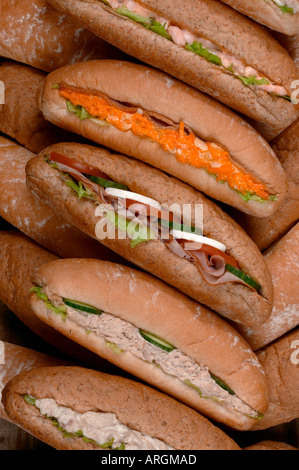 Sandwiches with tomatoes. 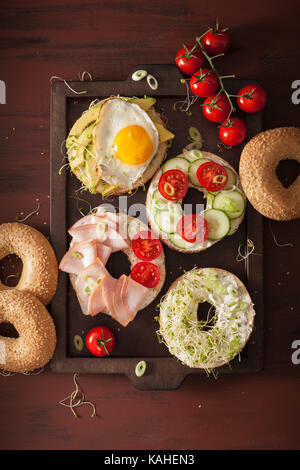 Sandwiches with egg, cheese, cucumber, ham and cherry tomatoes. 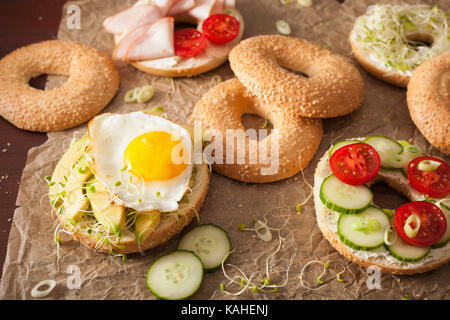 Food theme. 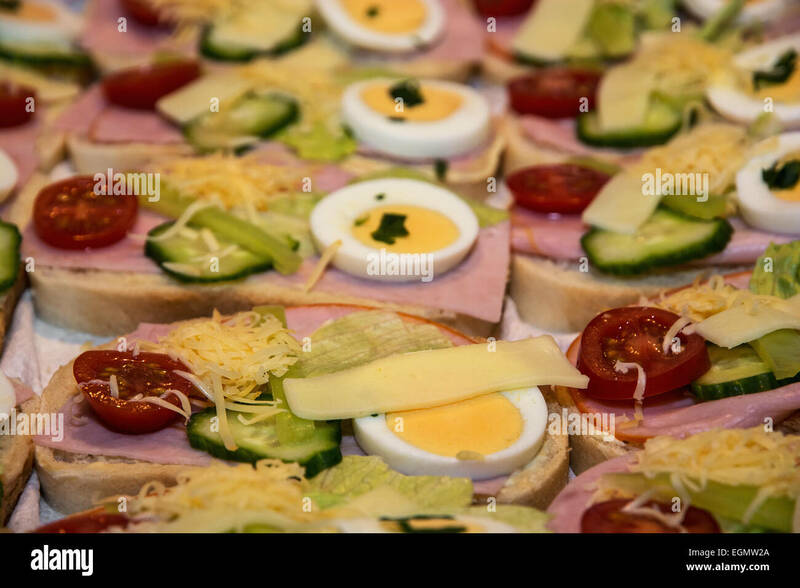 Open-face sandwiches with sausage and vegetables as background. 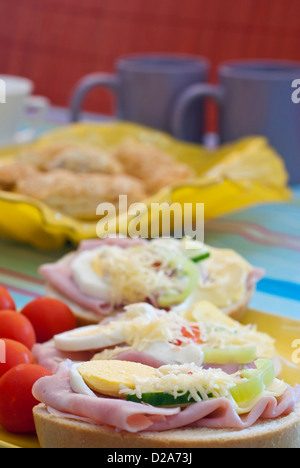 Close-up of white bread slices with ham, cheese, eggs, capsicum and cucumber. 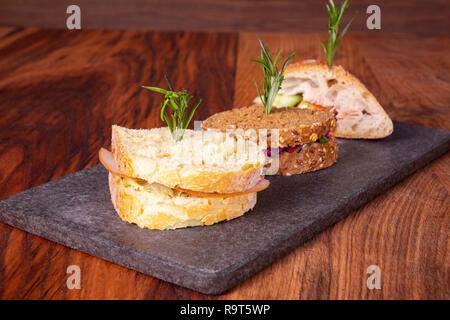 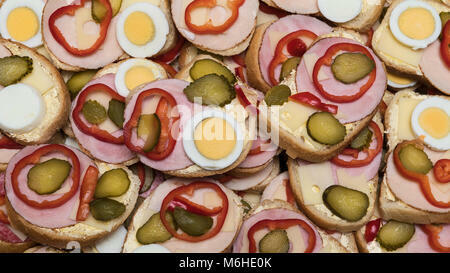 Open-face sandwiches as gastronomic background. 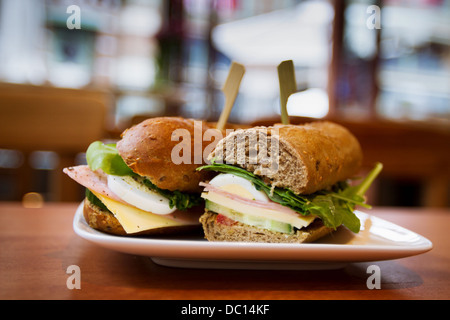 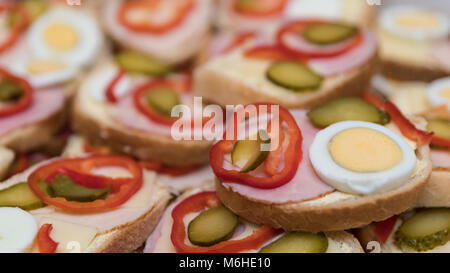 Colorful texture from slices of french bread with ham, cheese, hard-boiled eggs, capsicum and cucumber.